The latest technology of AI Traffic for FSX and Prepar3D! Supported simulators are Microsoft Flight Simulator X, Microsoft Flight Simulator X Steam Edition, Prepar3D Version 1 (1.4 recommended), Prepar3D Version 2 (up to version 2.5). 5,560,000+ weekly AI Flights - MyTraffic X includes over 5,560,000 (yes, that's correct – almost 6 million) AI flights per week between 8,262 airports in all regions of the world. These flights include international, national, regional, commuter, general aviation, cargo, amphibian airlines, military and touch and go circuits. Flights are generated based on real world data and, where data are limited, on a realistic model - All traffic is generated based on real-life traffic patterns. You will see airlines at airports and hubs which are consistent with their real-world operations. Where available, flight plans are modeled after real world observations giving you a high level of realism without the boring uniformity of products that restrict themselves solely to published schedules. 8,262 Airports bustling with AI Traffic - MyTraffic X flies AI Traffic between more than 8,200 airports in all corners of the world. The AI capabilities of 2400 airports are enhanced in this package, including airline to gate associations for many airports. All aircraft behave realistically during different phases of their flight. Parking positions are also assigned in an accurate manner. For example, airliners will taxi to their gates, cargo aircraft will park at cargo positions situated near the respective airport cargo facilities. 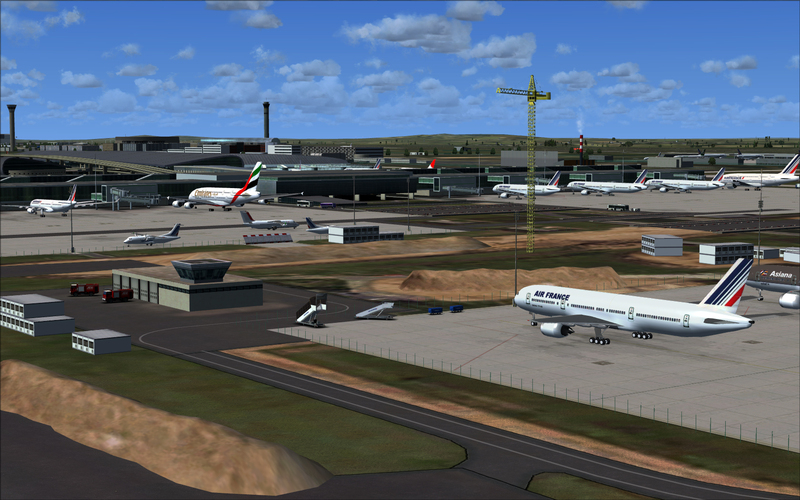 AI Traffic will behave in the same way even at add-on sceneries, provided that they are fully FSX compatible. 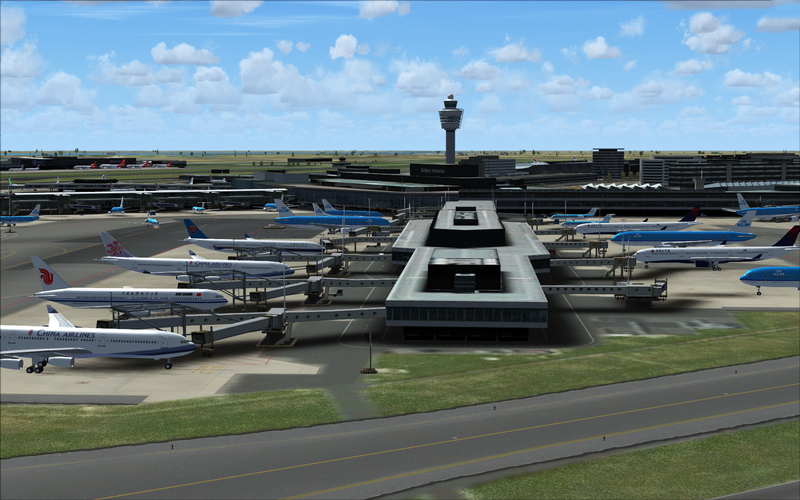 Two dozen new airports – Flight Simulator X has a good coverage of airports in Northern America and Western Europe, but many important airports in other parts of the world are completely missing, not even a single runway. Included are now 12 completely new built addon airports, like the large Moscow area regional airport Byokvo, Myachkovo and Ostafyevo – you even can fly to Grozny now! MyTraffic X even delivers a complete brand new Mega Airport, a detailed version of VTBS Bangkok Suvarnabhumi is included and busy with international traffic, as the new Doha airport OTHH. You also find the brand new airport of Lleida-Alquaire in Spain, and a number of all new airports in China and India. Touch and Go flights into more than 100 small airfields. Airliner, General Aviation and Military Traffic - With MyTraffic X you get yourself the only AI Traffic generator that treats all three types of aviation traffic with the same priority. And not only for current schedules; even going back in history to the beginning of the jet age is possible for owners of FSX professional edition or Prepar3D. 5594 Liveries - MyTraffic X includes more than 5500 aircraft liveries and this number will keep growing, coming from about 2140 different airlines (among them 400 military units located at their home bases and 1600 civilian airlines). 201 Aircraft Models - From Airbus over Boeing to Yakolevs and Cessnas to Embraers, MyTraffic includes them all. All models are created with GMAX optimized for high frame rates even at very busy airports. 191 of these aircrafts with more than 5000 paints were created from scratch in the new format introduced with Flight Simulator X Service Pack 2, to remove display errors as well as to increase performance beyond the one offered by Microsoft stock planes. Bringing realistic AI traffic to all parts of the world, MyTraffic can be oftenly observed to provide better performance even with more aircrafts around you than FSX stock AI traffic. The most important airliner families, the Airbus A318-A321, the Boeing 737-300 to B737-900ER, and the mighty B747s from -200 to the new B747-8F and I have been largely rebuild using textured moving wing parts to further increase the eye candidness within the little computer budget allowed for AI traffic. 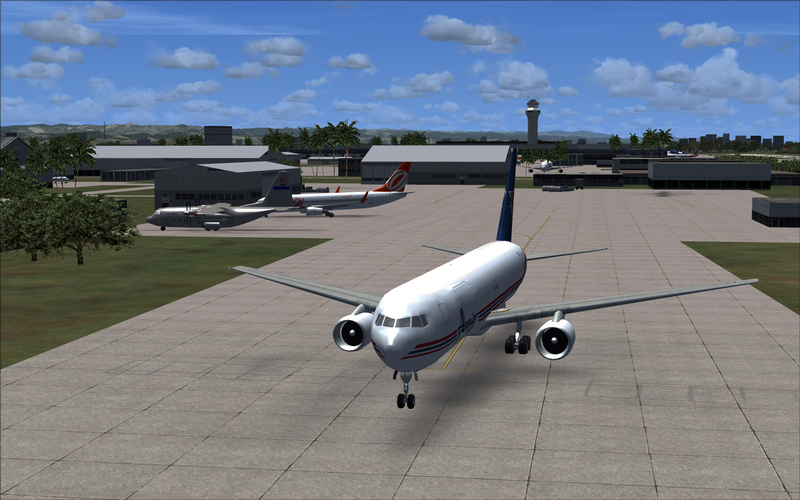 Version 5.4a brings the overhaul of the Boeing 767-200 and -300 fleets. MyTraffic 6 keeps on track by resenting the A350-900 and the B787-900. Enhanced Night Lightings – Using a newly developed, simple management tool, the user can now change the ground animation behavior and the long distance night light behavior, balancing between system load and hardware capabilities. Full Support for Windows XP, Vista, Windows 7 and Windows 8.1 – all components now are modified and tested to work under Windows 7 and Windows 8.1. For daily operation, the User Access Control (UAC) may be switched on. If a user wants to make changes to a setting under Vista or Windows 7, he only needs the rights to do so set in the file system. MyTraffic and all included tools fully support the 64bit version of Windows 7. High level Support for the DX10 Preview introduced with FSX SP2 and Acceleration Pack - MyTraffic X Professional comes with two sets of schedules, switching between these is a simple mouse click in the MyTraffic Communicator. The Direct X 9 schedules use all aircraft models and paints, while the Direct X 10 schedules are restricted to the FSX SP2 compatible types only. Since these count all Western airliners and all larger Western commuters now, you will meet a larger variety of DX10 compatible airliners in MyTraffic X world wide as you ever saw in any other legacy AI package, or has been promised by anybody else. DX10 support for military aircraft is included now with version 5.3, even historic schedules can be usedwith some restrictions under DSX10 now. Simplicity is the key - MyTraffic X is simple by virtue. We do not overload our add-on with an unnecessary array of features, menus and other distractions. It is our philosophy to keep MyTraffic X as simple to use, yet as powerful as possible! Once installed, you just can fly and enjoy the life around you. This also means that MyTraffic in no instance bypasses the Microsoft supplied logic for AI traffic. MyTraffic X Editor* - is an advanced AI Traffic configuration utility allowing the generation of thousands of flight plans at the click of a button, all based on user adjustable parameters. Capable of recognizing geographic regions, country borders, and the history of airline fleets, the editor makes sure that you see the right traffic in the right region. It is accompanied by a new tool to simply code airline routes in a way an order of magnitude faster than all manual schedule tools released in the past. Like with any software development tool, you need a few days of learning to really understand how to get the optimum out of this tool. * This feature requires that you have the SDK of Flight Simulator X installed, available to users of Flight Simulator X professional (Deluxe) edition. MyTraffic Communicator - is a tool to support the user to get to information, to support, to make settings in their FSX and MyTraffic setups, to repair installations that got broken, and to download updates and patches. The Communicator must be used during installation to set up the system. MyTraffic Interactive – this is the tool users dreamed of for long, now is included in MyTraffic to open a new dimension of possibilities. While FSX is running, user can create AI aircraft, that enter into the scenes, and let them fly real flight plans – all this with a few mouse clicks! You not only can set them onto an airport, you also can create them airborne now. ATC Sound Update – All MyTraffic modifications are now included into EditVoicePack, the tool you need to make any changes to ATC. Kontrovers wurde unter unserer Nachricht über das Erscheinen von MyTraffic 6 diskutiert. Die Performance ist zu schlecht, die Performance ist doch gut, die Installation zu kompliziert, und überhaupt, könnt ihr nicht mal ein Review machen? Nein – wir machen einen ersten Eindruck. Zero stars as too complicated getting it to work. Sent several emails and no reply. Waste of time and money. This program is definitely not user friendly! You need to "program" this program to be able to see it work! After spending the last 14 hours still not able to see any traffic! I did go to one airport and only saw one airline with aircraft wings "locked" into one another! I have followed the instructions line for line as per the included document. 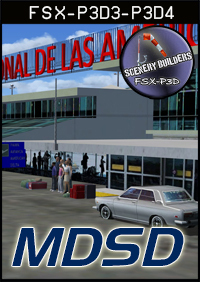 The MT-6's location is saved and the FSX is identified as per the manual! If one buys a software program it is not the norm to spend 10 - 15 hours reading forums, which you are not allowed to view prior to making the purchase! That said explains why the "SMALL" problems around getting this program to work! One would think that there would be a good You-tube video, but only one that has been made "AFTER" getting the program up & running and not showing the "beware obstacles"! Would shelf this one and write the money to the donation section and keep my eyes on the sites for another more user friendly program! If you want to buy this program PLEASE make sure that you LOOK at ALL the pro's & con's! Best add on for fsx steam. I am sure this is a good addon if you manage to get it working. However, the installing process is quite complicated and I never managed to get it working despite hours of effort! So, if you are new to FSX editing stay away from this product until a more complete installing process comes along with the product! Nice to have, BUT BEWARE!!!! This is an amazing addon to have for realism,but for the most part all this addon gives you is issues. First of all, the install is a joke. It is not an automatic installer like pretty much every other addon out there. You have to tell the files where to go through weird software and do a manual install. Second it is very hard once it is installed (I followed the instructions exactly) to get it working. I used this with FSX, FSX:SE, and now P3D and each one has a major issue with trying to get it working (especially P3D). Once its working, it keeps crashing my game (happened on all 3). It is NOT the computer i am running on. My computer has a overclocked i7 about 4.5GHZ, dual Titan X (overclocked on top of that). and 64GB of some of the best RAM out there. It causes crashing during the loading screen, descent into an airport, or a few minutes after departure (FSX:SE mostly). It is some nice eyecandy in the sims, but just KNOW WHAT YOU ARE GOING TO BE UP AGAINST! An excellent traffic add-on that does require a little more manual installing than should be necessary. Not everyone has spent hours under the hood of the simulator to figure out all the bells in whistles. Thankfully there is a good enough guide PDF that comes with this to help you get it installed. It took me about 5 minutes to get it up and running and tons of traffic spawns in everywhere. Note; if you don't want your performance trashed be sure you use an AI traffic limiter to force FSX/P3D to only spawn so many craft in. I use a value of 80 in Pete Dowson's FSUIPC4 and it works great. 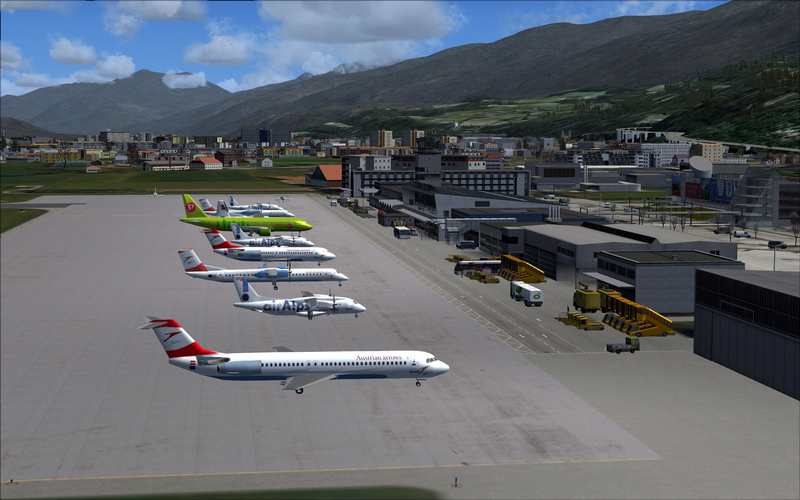 Smooth frame rates and plenty of traffic even inside the PMDG 737NGX. The people giving this product 1 star are probably those who skipped the PDF instructions and just dove right in. Look before you leap folks. One of the best best addons I ever bought to FSXSE. installing in fsx steam is a drama. You must copy and paste into your files. Then no visible liveries you've only existing as orbit. They have been renamed eg PH-J23. 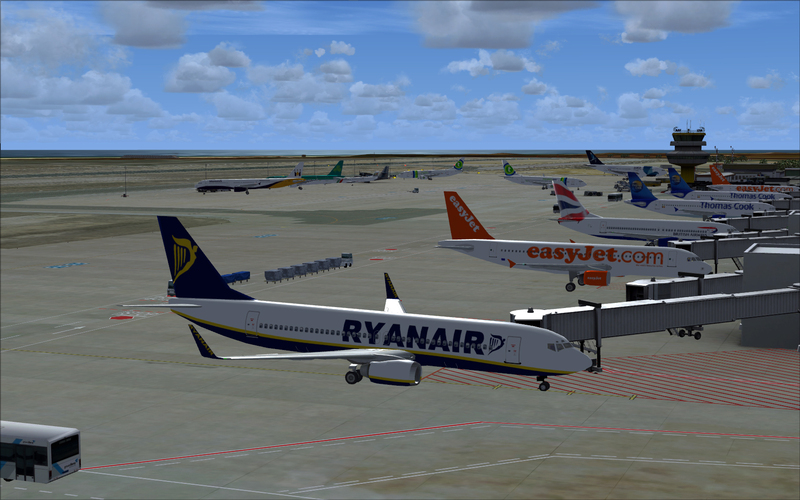 My Traffic 6.0a is compatible with versions of Prepar3d up to and including 3.3.5. The information here about the product should be updated. only plane textures can a little bit better but it is an very good addon! As a former UT2 user, I was ready to move on to another traffic program after the lack of updates and support. 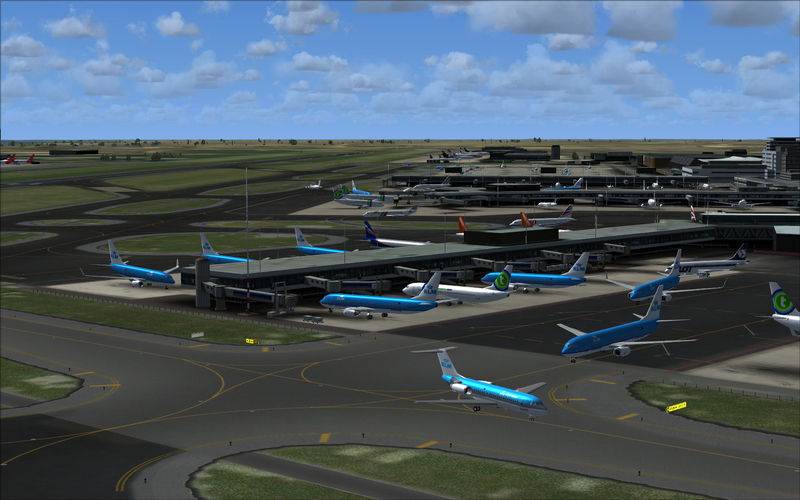 I installed MyTraffic 6 for my FSX setup last week and have been pleased with the results. Just follow the instructions and installation should be successful. Yes, the models are probably a step below what I experienced with UT2, but the trade seems to be a lesser impact on frame rates. I REALLY enjoy seeing all of the MANY aircraft types, both business and military types. (I even saw a cargo DC9-10 land behind me at KRDU yesterday.) 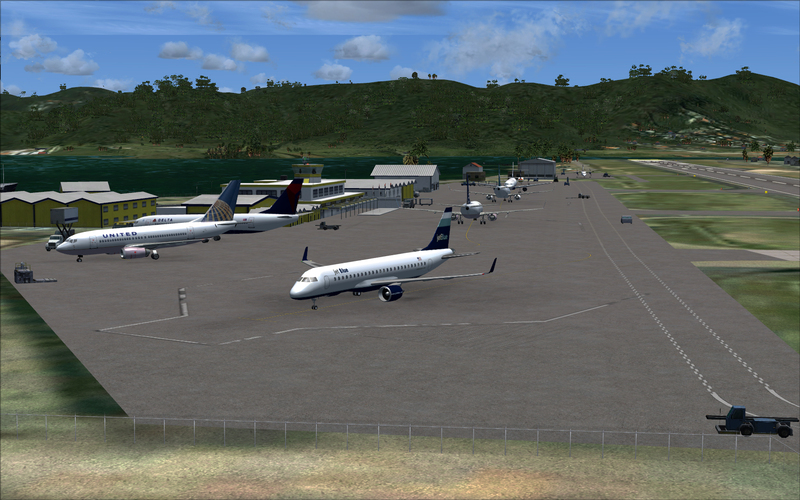 The only issue I am still dealing with is compatibility with my FSDT airport addons. The workaround mentioned in many forums has not worked for me. 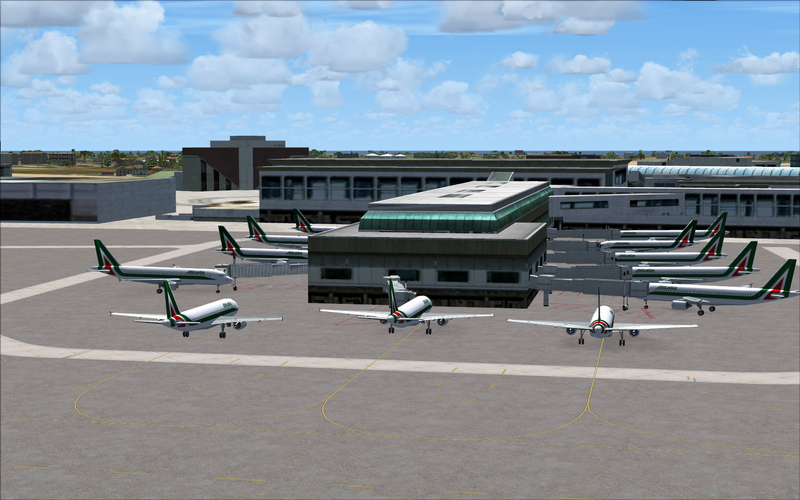 On the other hand, my other addon airports from Blueprint, ImagineSim, BajaSim, LatinVFR, FlyTampa, and Aerosoft are all working perfectly. I would recommend this product. Excellent coverage. Light on FPS (compared to other products). 5 stars for convenience. Installation for P3D v3 can tricky though. I don't know any other AI package that covers so many airlines and new airports. However, models are bad. Night lighting of aircraft is very very bad. Forget about editing the flight plans, and aircraft models. The editor is very difficult to understand. If you don't want to bother too much about AI, this is a great, simple add on. It's a good tools. But a lot of aircrafts can't show on win10 (FSX). 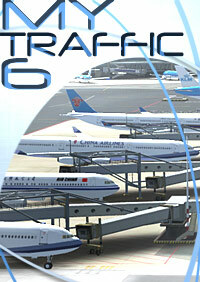 This is by far one of if not the best AI traffic programs for flight sims. Do not get freaked out about the reviews that say otherwise. Install was easy for my FSX-SE and worked perfectly on windows 10. Just follow the instructions provided and they lead you easily through setup. No worries, and trust me its a great add-on for traffic. 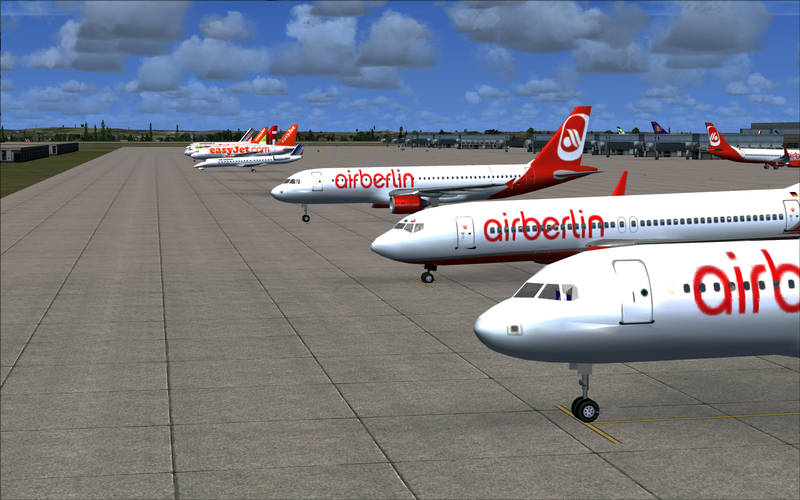 Way more liveries than any free traffic AI you can find. Can You Follow Simple Instructions? If so you got nothing to worry about. Simples! An excellent veteran traffic application. Minimal impact on frame rates. Installation has to be re-vamped. I managed to install it in P3D V3 only by following advices on forums, however, it is a simple procedure, requiring a few steps. The current version is not for V3, but it can be installed in V3 easily. No more PACIFICA airlines. Firstly, its very rare that I leave reviews however I just wanted to say that I am shocked at some of the poor reviews MT6 has received. Based on the reviews I have read so far, you can clearly see that those who read the instructions, have no problems compared to those who just wish to rush in and have all sorts of issues!!! As long as you take the time and read the instructions, this will install smoothly without any problems whatsoever. I have this installed into P3D v3 and it runs wonderfully. Secondly, what is all this talk about that the MT6 planes look of a poor quality compared to UT2?? I think the MT6 look just as good if not better!!!!! If you are looking for a good traffic add on then please don't look beyond MT6 as it has done wonders for me as I very highly rate it Don't hesitate!!!!. Works, even better than the previous version and has less impact on the VAS issue. I see lots of criticism here. Mostly because some folks don't pay enough attention to the installation guide. This addon is indeed complex and if you don't follow each and every step closely the installation will not turn out successfully. Furthermore FS-developers in general are struggling with frustrating new releases of P3D, FSX Steam, X-Plane, which all are expected to be included in every new addon release these days! I bet if P3D, once they started out, had desisted for a more clever approach to a new FS concept, I guess EVERYONE by now had chosen P3D once and for all! Instead they took a silly choice and stayed too close up to the old FSX. Staying with a clearly inadequate 32 bit engine, instead of taking a step up to 64 bit, is one remarkable example of their fatal judgement. In other words, Prepa3D isn't prepared at all! Great product! The things I read here scared me a bit but I spent only 5 minutes reading the pdf and that was all, no problems at all. I am a prepar 3d v2.5 user. If you have any other type of traffic active (specially WOAI)--don't get it. 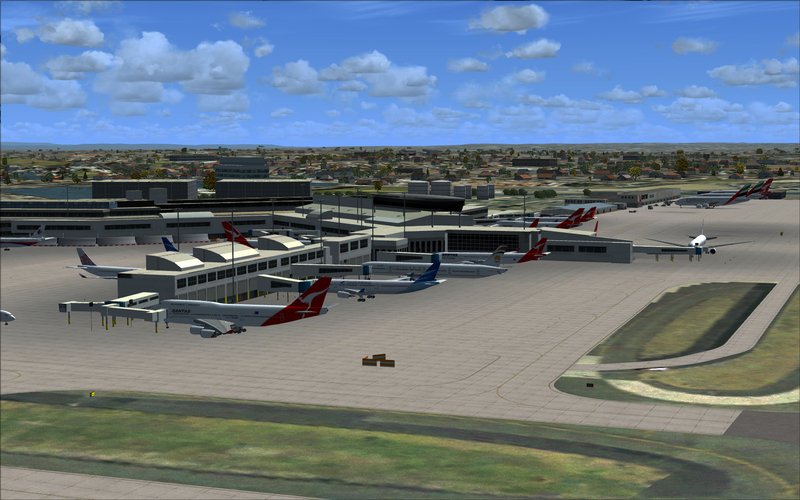 If you have FSX with no airports and traffic add-ons you will be fine. 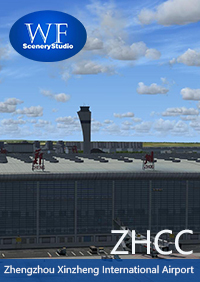 If you want to populate your FSX,FSXSE and P3D airports,(standard and third party), with Ai aircraft, this program will do it for you. No matter which airport I went to or installed, MT6 would always fill it with the correct airlines and aircraft, depending upon your traffic slider%. Quality of the models was ok. Several schedules, latest being 2015, are provided for various years, including historic aircraft. See below for schedule details. 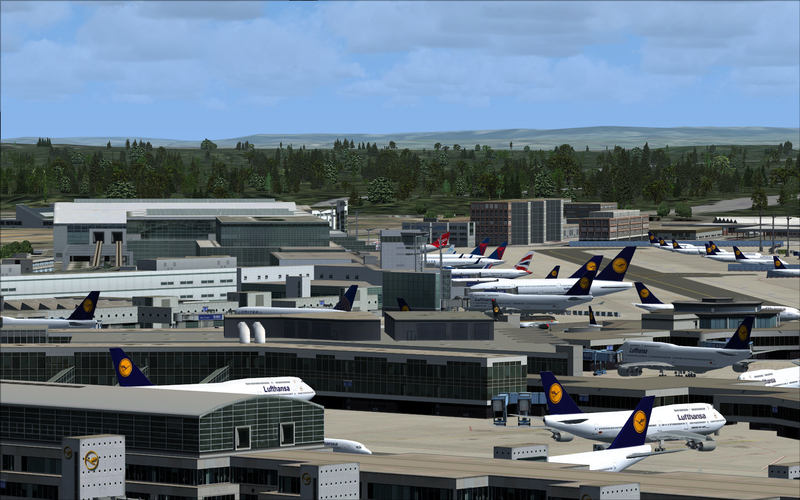 I have a mega Heathrow scenery airport. If you set MT6 traffic slider to 100%, you can park on the end of the active runway and plane spot as landings and take off's never cease. You may have a few issues with installation if you do not follow the instructions.In fairness, MT6 is using code from the early times of flight sim, making it impossible to provide some functions unless you have certain toolbox programs, which the author can't provide, but are usually easily found. The copious amounts of instructions do not flow, and are very disjointed. There is no MT6 manual, but a compendium of manuals from previous versions for various functions.When you get into some of the database screens, they are different to the instructions, due to later versions. The "instructions" for schedule changes are extremely difficult to follow and are not really designed for public consumption. The schedules are not real life but a mathematical model of timings between various airports on a round robin structure. The schedules reflect the type of aircraft you are likely to see at an airport in each of the years. AI Aircraft fly in a straight line between airports.To change these timings is not easy. If this program ever got a good front end to help with installation, and a tutorial for many of its excellent features, including schedule changes, it would be a winner worth so much more than its present bargain price. Excellent AI Traffic program for my P3D 2.5/ Win7 x64 world. Commercial, cargo, GA and military flights to all but the tiniest of airfields. MyTrafficPro 6 installed with no problem. I've been using this from one iteration to the next since 2006 and love the twice annual updates with livery and general route changes. Read the installation instructions carefully and it'l be a breeze. Set it and forget it. However, should you be befuddled, flummoxed or otherwise challenged, the developer has an active and informative support site. I love my Traffic and have used it before. You install it, and it does everything automatically. I always see AI aircraft of all kinds, and it is geared to the airport I am at. Great program if you like something that is hassle free and just works. I wish I hadn't bought this!!! I know from the comments some people have managed to install this but I and a good few others have definitely not been able to. It's been a waste of money and Sim Market should NOT have it on it's list. 'Some functions of MyTraffic require a tool provided in the SDK. If you want to change the currently active schedules, or if you want to program schedules yourself, you need to compile them from the readable text form to binary data format. The tool needed for this compilation is a program called TrafficDataBaseBuilder.exe, you find it in your SDK installation, a typical path to it is..............' I have never heard of SDK, have you? Do you know what 'binary data format is?? I don't and I'm sure that many FSX users don't! I have tried to install it without any success and now my FSX is a mess and I am going to have to either repair it or maybe even reintsall it. Clearly this MYTraffic 6 has obviously been created very badly. We should be able to install it just like any other addon! Rubbish! No complaints here. Was an easy install on windows 8.1 by following the directions provided. Great addition to my FSX. Bought it 18. August 2015. No regrets. I have FSX and P3D installed and as Long as you read the Manual properly, it installs easy. My Traffic is installed on seperate drive so both Simulators have Access to i, which is grea, because you no longer have to install product twice. You Need to be aware then that you have to point the path into the Directory where you installed My Traffic, when adding to scenery within FSX and P3D. That was not clear in the Manual, hence only 4 Stars. I have read the Forum and the reviews overhere. I had some doubts to buy it or not. A lot of negative reviews. Searching on Google, made me certain to purchase it and would see if I face these mentioned problems too. On Google most of the people advides to choose for MyTraffic, whic I did. It took 5 hours of screwing around to get it to install and behave. 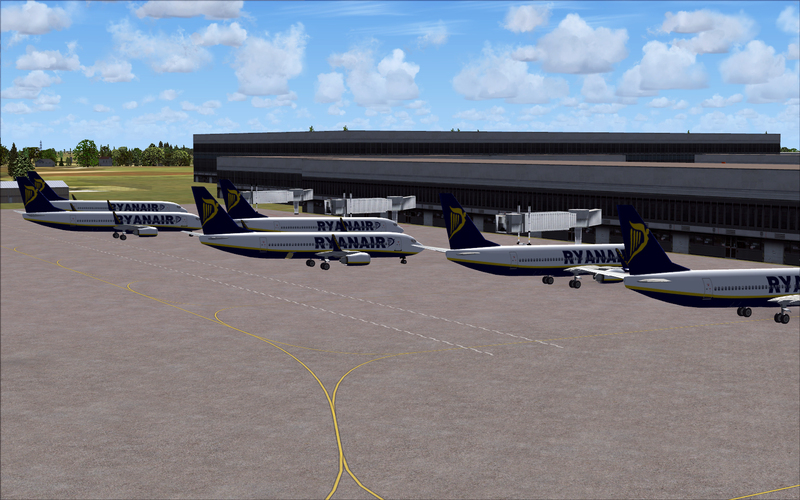 Yes I've owned FSX since launch, yes I own many other popular addons, yes I read the instruction. Simply it was a pain. (but what isn't in Flight Sim) How ever I've been testing and wow. I owned Aerosoft 2013 and its an improvement on that. There are so many extra bonuses and features I'm still testing all of them. I say buy it and install it but take the afternoon off from work. bought it, ran it, set it up, love it.........RTFM to all the haters :) If you know how to read.....buy it....it's amazing! If you don't know how to read.....go back 2 school. First I want to address the other negative reviews, if you do not follow the installation instructions exactly the product will not work. You do not have to read the whole manual just the installation manual. 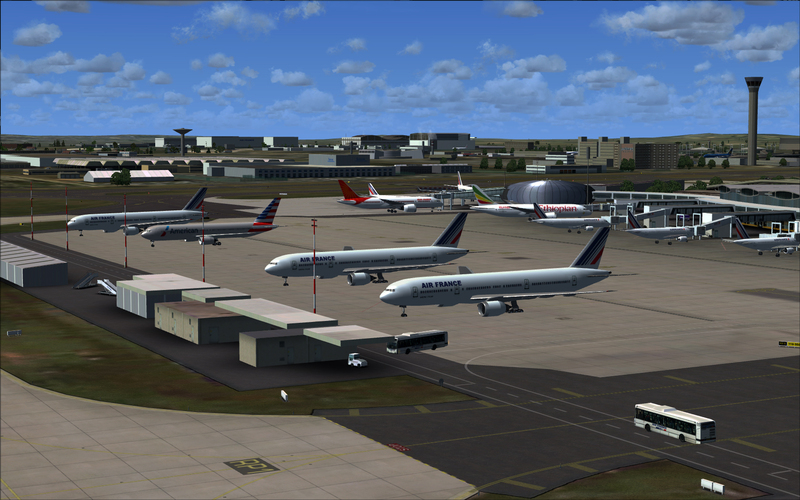 I have used Ultimate Traffic, Just Flights Traffic and even Aerosoft My traffic 2010. They are all good and almost all of them use parts of the older version of this software under license. The reason is Burkhard the developer is passionate about AI in the sim, his work is second to none(he been at it for a many years). I highly recommend this product, you can use it without playing with the advance options and tools or you can do almost do anything your heart desires with the advance tools and options to create the AI you want. One neat feature is the historic AI. You can pick an era from the 60's onwards and fly with AI from the era only. This the most up to date AI addon there is, all the others AI addons are 2+ years old. The liveries and schedules match very closely the current real ops, plus you can have historic AI. I use it in FSX DX10 mode only but it is the only AI addon that can be used on all four sims FSX, FSX Steam, P3D V1 and P3D V2.5. You can even use it on all the sims installed on your PC with just one installation. There is on going development and updates from the developer for this product. The developer is very passionate about AI so you get a great AI and great support. Not impressed and sorry I bought it even at the discounted price. The installation is silly... why not just create installers for the different sims? The installation manual is incomplete and the installation messes with add on airports. So far I have not managed to find a solution to gate assignments and positions changed during the installation which renders add on airports useless. Have uninstalled the product and hope the developers will address customer's issues. This is the most confusing installation I have ever seen. Simply didn't work. I do not recommend buying MyTraffic 6 for Prepar3D. It is clear that the developers just included a workaround of their FSX base product for P3D and it just does not work. Dieses Addon funktioniert nicht einer Steam Edition. In englischer Sprache wird zwar darauf hingewiesen, das es nach dem Studium des Manuals möglich sei, MT 6.0 zu benutzen. Das nötige Traffic SDK von Microsoft bekommt man nirgends als Download. Abhilfe schafft die Installation des P3D 1.4 SDK. Hier wird die TrafficDatabaseBuilder.exe in das MyTraffic Verzeichnis kopiert. Naja, die Erwartung, das mit einem Fingertipp, wie versprochen, dann auch richtig Verkehr herrscht, mit bunten Fliegern usw. kann ich nicht nachvollziehen. Eine Kaufempfehlung möchte ich nicht aussprechen. but for a Belgium pilot, no jetairfly at brussels? No thomas cook at Brussels? requires 10.5GB of hard disk space! Any hardware that runs FSX, FSX-SE, P3D V1, P3DV2.0-2.4, P3DV2.5 with acceptable performance including some default AI traffic can run MyTraffic 6 with more traffic and the same performance. Usage under DX10 preview requires a DX10 capable graphics card. Microsoft DOT net 3.5 or above is strongly recommended, since the included auxiliary tools are based on this. Usage without these tools is possible, but requires higher skills including reading manuals. I am sure this is a good addon if you manage to get it working. However, the installing process is quite complicated and I never managed to get it working despite hours of effort! So, if you are new to FSX editing stay away from this product until a more complete installing process comes along with the product! installing in fsx steam is a drama. You must copy and paste into your files. Then no visible liveries you've only existing as orbit. They have been renamed eg PH-J23.